Look chic from sunrise to sundown with our women's Allamanda wedge. 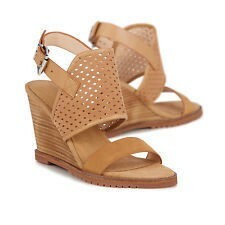 Perforated for breathability, these comfortable wedges are great for both formal and casual occasions. Leather & perforated suede upper. Leather wrapped ABS wedge for flexibility midsole.